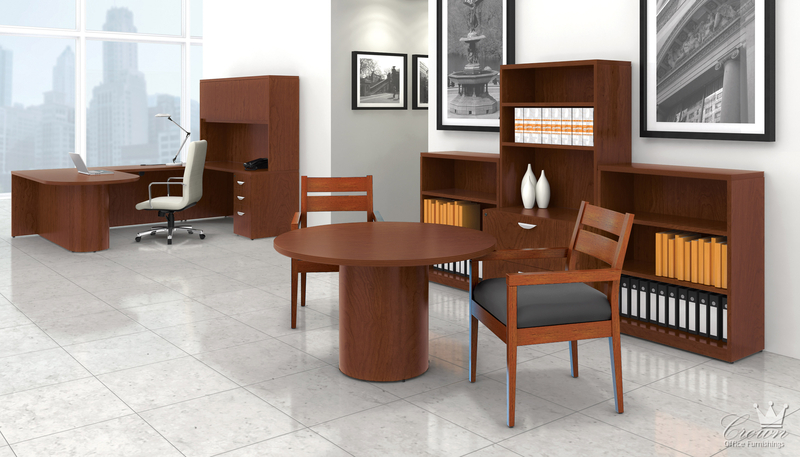 Crown’s Ventnor series is furniture that embodies value and quality. 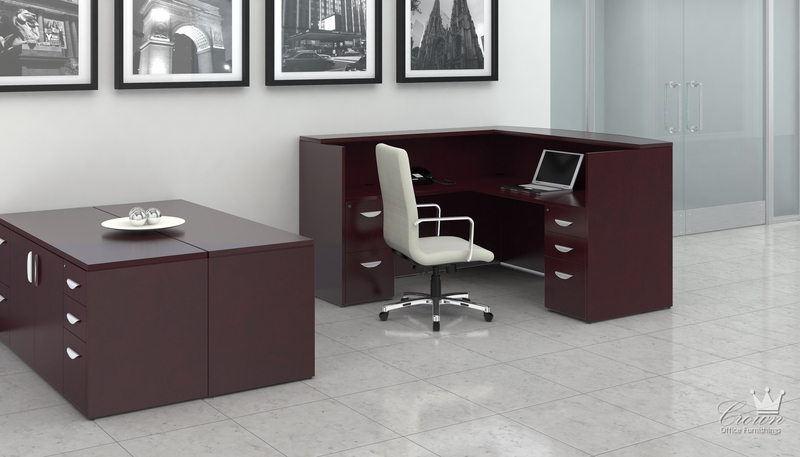 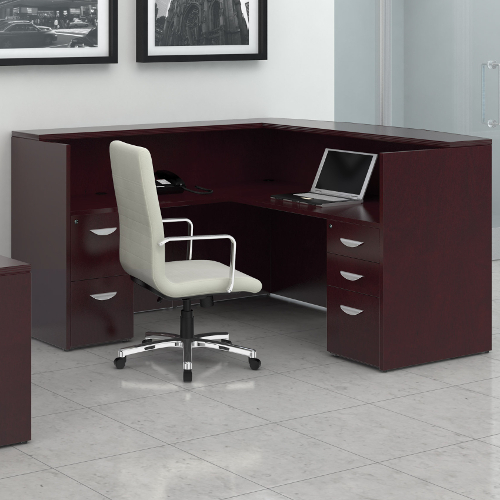 This modular veneer furniture comes in Toffee or Cordovan, has solid wood fluted edges, and high quality ball bearing drawers and file cabinets. 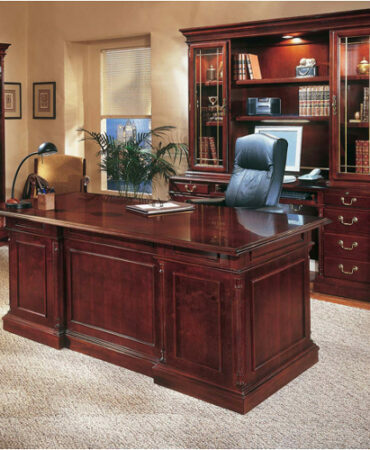 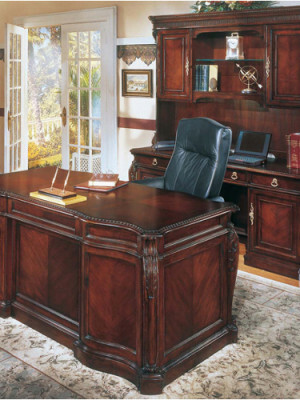 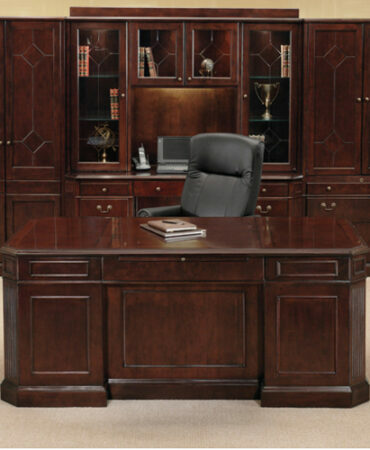 Come by our Tulsa showroom to have our designers custom fit your office with this quality furniture.